Manifestation of hole at side of teeth which can lead to drainage problem in skin, cheeks, or gums. However, unlike in old days when tooth needs to get removed after it became infected, there’s a very special procedure that’s used nowadays where the tooth can now be save from the extraction; the endodontic treatment or root canal treatment. A root canal therapy does the saving and repairing of the infected tooth by simply removing the nerves and pulp, and then protecting it through sealing and cleaning the insides of tooth. A crown will be place over the tooth that received the treatment in order to make it much stronger. Saving your natural tooth can provide you many advantages like not needing to wear the artificial teeth/tooth, prevent the jaw problems, much efficient chewing, and better protection of other teeth from wear and strain. Endodontics is the branch of dentistry that specializes with the disease of tooth’s pup chamber and surrounding tissues. The root canal treatment can possible be performed by the general dentists, but if the condition is severe or the treatment is to be done for its second time, it’s highly recommended to visit an endodontists. The endodontists are the dentists that have the specialized trainings and studies that solely deal with the root canal treatments. Spontaneous, sharp, and acute pain that’s hard to locate and might be due to infected pup chamber or the formation of the abscess at the root tip. Pain that extends to ear, jaw or temple areas. Severe toothache and pain when chewing, biting, or touching the tooth/teeth area due to inflammation or infection of root tip and pressure application on the socket the area of the root. However, there are some instances where the tooth pup chamber becomes infected or damaged without experiencing any of the above-mentioned signs and symptoms. When this occurs, the problem can only be detected through the use of x-rays or other special dental exams during the dental treatments and check-ups. Abscess where the pus pocket takes form around the root end when the tooth pulp dies which can possibly spread to the surrounding bones and tissues. Traumatic damage to tooth like crack, chip, or root fracture where the root nerve was severed at root end causing its decay: this can occur immediately, or years after the experiencing the trauma. There are many step that a dentist can perform in order to identify if you will need a root canal treatment or not. 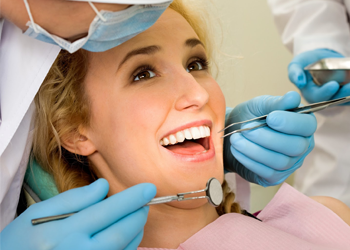 These include looking for the signs and symptoms, checking the gums and tooth’s condition that includes the previous dental procedure you had, examination of the tissues and nerves on tooth as well as surrounding area by the application of cold and hot substances on it, gently tapping on tooth or biting on something in order to know if the tooth is very sensitive to be touched or pressurized, taking x-ray/radiographs of tooth as well as the bone around it in order to determine the process of treatment to be done, using of electronic pulp tester that will send a little amount of electricity through the tooth in order to identify if the pup chamber is still alive. The first step in the root canal treatment is to take the x-rays of the damaged or infected tooth in order to identify the shape of root canal and determine if there are infection signs on it and numbing the damaged tooth and surrounding tissues through the application of anesthesia. Next, your dentist will utilize a dental gum in order to isolate the damaged tooth from the rest and to keep your tooth dry too. A small hole will then be drilled to the infected tooth in order to gain the access to root canals and pup chamber to get treated. Utilizing the special equipment like the root canal files, the dead nerves, pulp, and tissues together with the bacteria and other debris will be removed by flushing with sodium hypochlorite or with water. After the cleaning and disinfection of root canals with the antiseptic and antibacterial solution, followed by the shaping of canals for root canal filling and cleaning and washing once again for the sealing purposes. In next appointment, the gutta-percha, which is a rubber-like material, together with an adhesive sealer is utilized in order to fill the canals and completely seal them. Often, a crown in place at the top of tooth in order to avoid the contamination or infection in the future. The last procedure may include the tooth restoration to its complete function with crown in order to help in the prevention of further damage or breaking. After the treatment, an antibiotic is usually prescribed in order to prevent the infections.